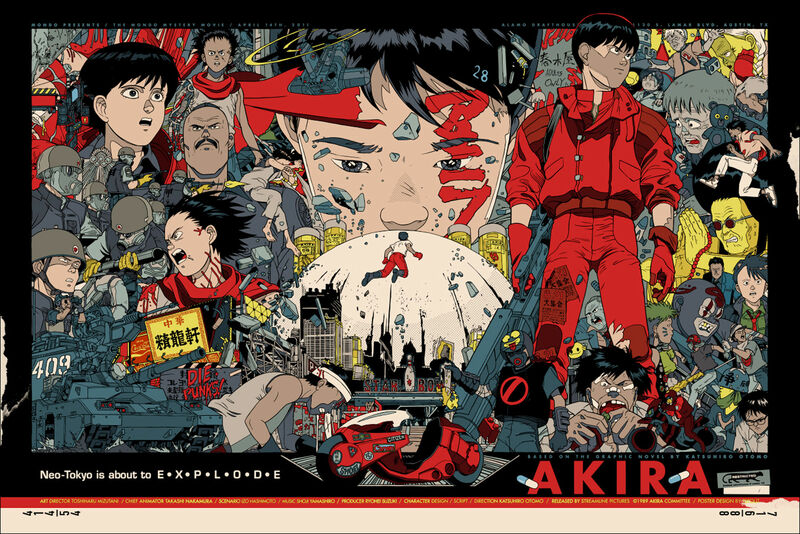 Famed poster artist and king of the collage Tyler Stout has done it again and created a fitting tribute to cult favourite Akira. The film was recently screening at the Alamo Drafthouse in Austin, Texas during Mondo Mystery Movies – a film series where cinema visitors are left in the dark as to what film they are viewing until the curtains part on the evening of the screening. Akira was chosen by Stout who made an appearance for the showing with poster (below) in tow. The artist has contributed to a large number of screening and festivals in the past, bringing his own unique visual stamp to proceedings. His website offers a glimpse into his wide range of graphic art, which also encompasses the world of TV and music too.